Joe Biden celebrated his 71st birthday Wednesday, and just like anyone's wacky 71-year-old uncle, there are some memorable moments to look back on, um, fondly. While he was initially known for his gaffes, that's not what we enjoy about the man who might just be the most interesting vice president to watch in modern American politics. 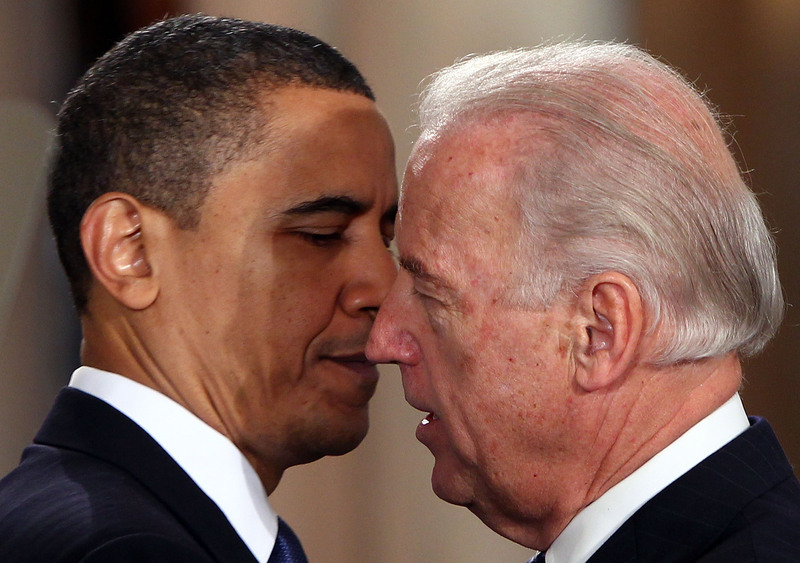 Biden's not shy in public situations. He has an ability to turn an workaday campaign stop or speech into an internet meme, just by cuddling a biker or dropping an F-bomb within range of the press (whoops!). 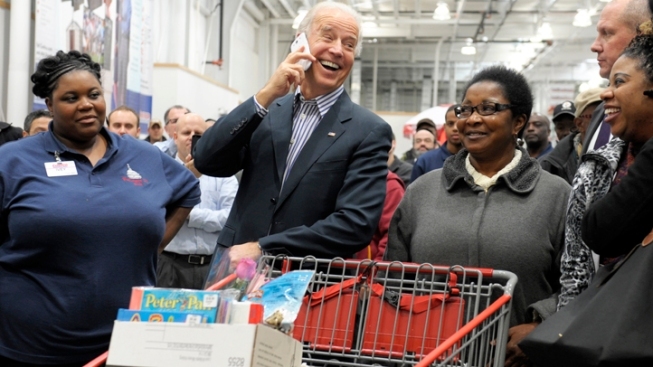 During what was possibly the most GIF-able event of 2012, Biden took a surprise shopping trip at the grand opening of a Northeast D.C. Costco. While wearing mirrored aviator sunglasses. Highlight: When a hairnet-wearing worker felt comfortable enough to remove a crumb from the vice president's face. You'd think the shockingly close embrace would be enough. But Biden wasn't moving in for a hug so much as he wanted to mark the significance of a landmark moment: Shortly after President Barack Obama signed the Affordable Healthcare Act into law, Captain Obvious leaned in and (in)famously told him, "This is a big f---ing deal." The bleep-able moment "sullied" the passing of the legislation, said the editorial staff at the Hartford Courant, deflating "a significant moment for the president." But they weren't the ones who garnered YouTube fame. The day after the government shutdown ended, Biden greeted returning EPA workers with muffins, setting down four plastic trays on the counter at the security desk. Still unknown: Whether he bought them at Costco. "The Most Beautiful Women in the World"
"I cannot believe that a Frenchman visiting Kiev went back home and told his colleagues he discovered something and didn't say he discovered the most beautiful women in the world. That's my observation," Biden said through a translator.